The collection of art is a pure delight! If it were just a couple pieces it wouldn’t work, but en mass like this it’s an ode to kitsch. 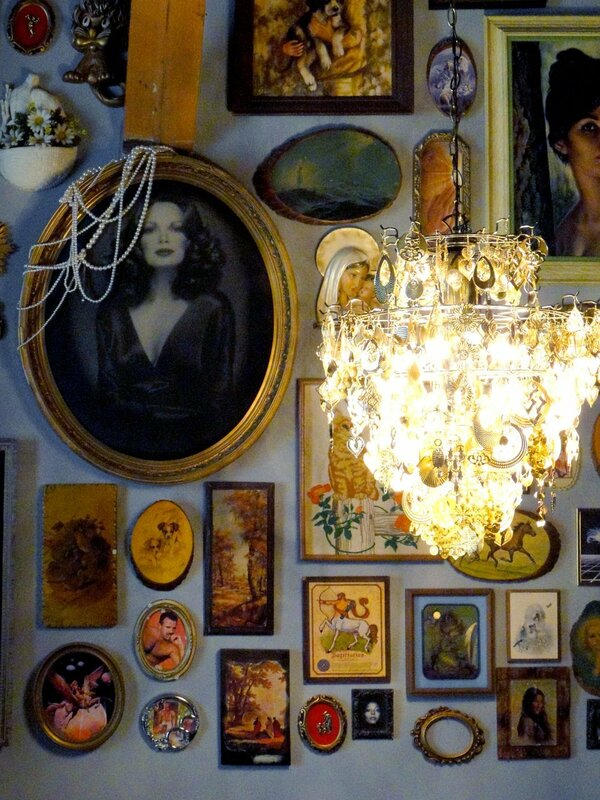 Great Idea: Strings of pearls draped on the portrait of Jaclyn Smith. It just works. 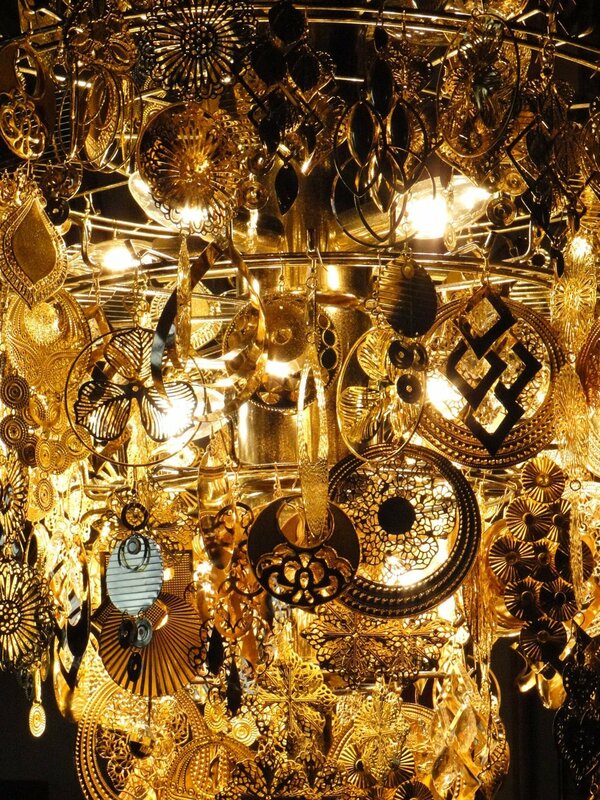 That chandelier made out of cheap gold earrings is genius! How many times have I seen those big grab bags of jewelry at the thrift store and not known what to do with them. Now I do! A sequin wall? Oh Hells yes! Total Hollywood glam. This would be great on a door, on a headboard, a small bathroom wall, there are so many places this could be fun to try. It’s especially good against the black gloss fireplace. This one is so simple and looks terrific! 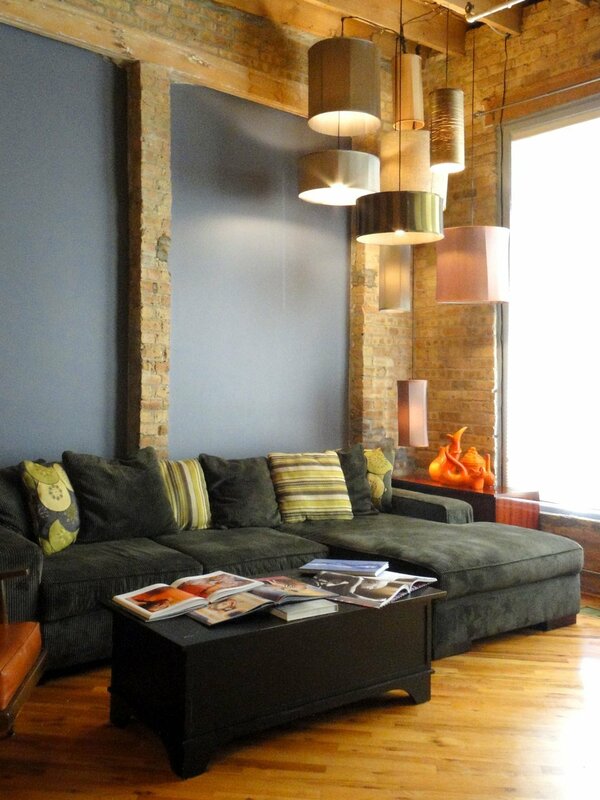 Funky lamp shades hung at varying heights from the ceiling. So easy! 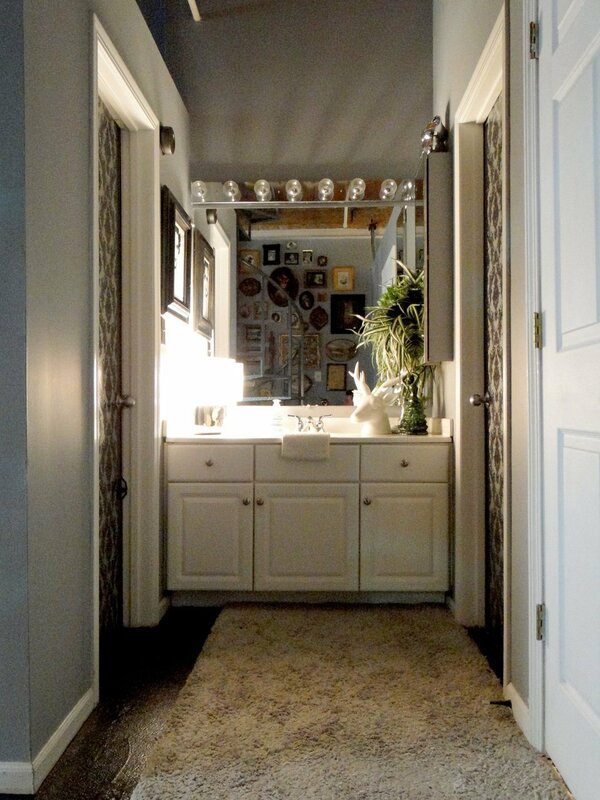 A fun assortment of shades from the thrift store, light kits from Home Depot, and your done! Love it. Note the doors, covered in a lovely brocade. Another great idea. Could be fabric or wallpaper or stenciled. Old door as decor. Makes a great backdrop. Plain wood or painted a great color, doors are great wall space fillers. Would also make for a unique headboard, connect 3 or more with hinges as a room divider, you get the idea. 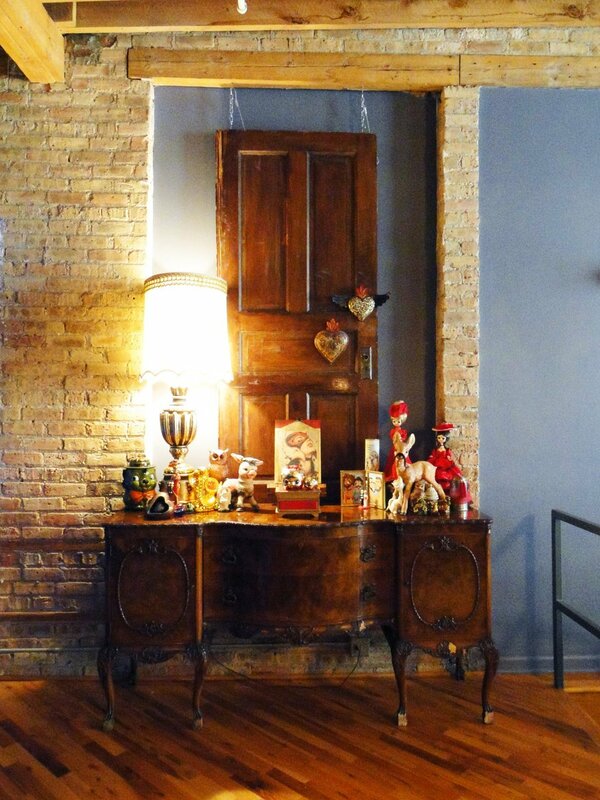 I would add a light behind this hanging door, would look amazing at night. Until next time, Happy DIY! This entry was posted in decorating, DIY, furniture, home, lifestyle and tagged Apartment Therapy, art collection, chandelier, decor, decorating, decorating ideas, decorating with doors, DIY, earring chandelier, personal style, redecorating, restyle, sequin wall. Bookmark the permalink.